July sees the return of Superboy Prime to the pages of Teen Titans and the launch of DC Retroactive. Not that my wallet will be able to afford either, as it will still be drowning in the Cyborg stock-rising crossover Flashpoint. Still, of the July DC range, these are the four hottest covers set to tempt my wallet and yours. COVER OF THE MONTH: Adam Hughes - Zatanna #15 When Adam Hughes draws a cover it's almost criminal that you've got to put the DC Bullet (or whatever it's called these days) on it let alone a barcode and other random 'important' junk. CLOSE CONTENDERS: Mike Grell - DC RetroActive: Green Lantern - The 70's #1, Karl Kerschl - Superboy #9, and Kevin Nowlan - Flashpoint: The Outsider #2. For more DC July solicits click the jump. ya know, before the electrical signal from my optic nerve made it to my brain's pleasure center i already knew this was Adam Hughes. He does have an unmistakable style Dave and he's unmatched with the ladies. 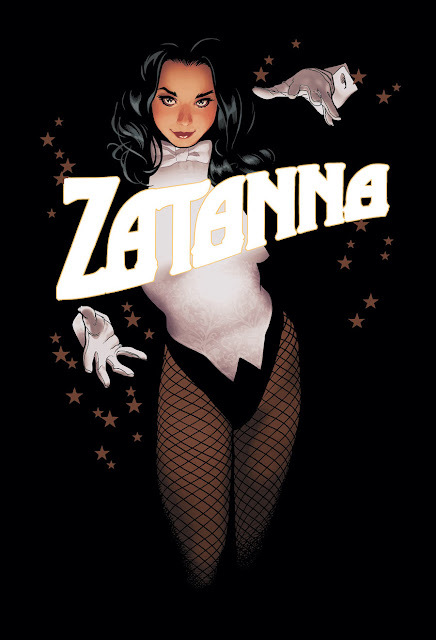 That is an amazing Zatanna cover. That could make a great wallpaper. I'm with the ladies on this one. Gorgeous work on the Zatanna cover.